Now in its sixteenth year, the 20/twenty Challenge was co-founded by long-time friends James Hodgkinson and Ross Ellice-Flint. James was personally touched by cerebral palsy when his nephew Alex was diagnosed with the condition. Alex is now eighteen years old. He needs support at mealtimes, uses a wheelchair to get around and a speech generating device to communicate. Having the right equipment at the right time has meant the world to Alex and his family. The event has raised over $7.3 million dollars since the beginning and has provided equipment for over 3,000 clients. The event has grown substantially over the last fifteen years and is now a significant and well-known charity event, especially within the financial sector. 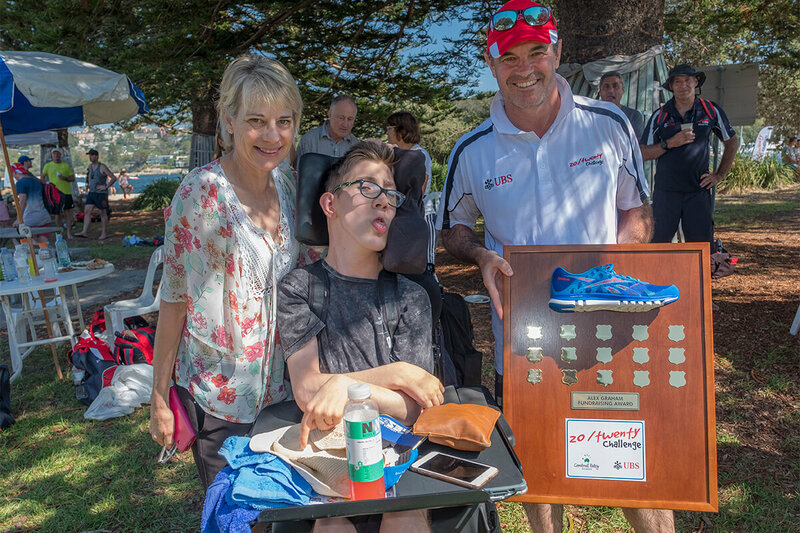 The Macquarie Group Foundation, through its connection with former Director James Hodgkinson, was the principal sponsor of the 20/twenty Challenge for the first eleven years of the event. We cannot thank Macquarie enough for their significant contribution to this event. In 2015, we embarked on a new partnership with UBS and we are very excited that they will again continue on as principal sponsor in 2019. The generous support provided by UBS ensures that we can continue to provide vital mobility and communication equipment to assist children take their first steps, communicate and become more independent. UBS are committed to providing their clients with the advice, expertise and opportunities they need to achieve their financial goals. Similarly, Cerebral Palsy Alliance is dedicated to helping our young clients meet their goals by providing them with much needed equipment to maximise mobility, independence and quality of life. The 20/twenty Challenge makes all of this possible.